Should you switch out a doctor you don’t like? I have not had great historical success with doctors in the US in treating my diabetes. My doctors have been too quick to insist on prescribing drugs that do not work over the long term for my situation, and they have not changed their views quickly enough to match as new data emerges. Without exception, all of them warned me about the dangers of fasting without the time or the willingness to review the research. On average, patients get about 11 seconds to explain the reasons for their visit before they are interrupted by their doctors. Also, only one in three doctors provides their patients with adequate opportunity to describe their situation. Monday night, my wife and I attended a lecture here at Buchinger Wilhelmi on doctor-patient relationships. Given that Buchinger Wilhelmi has a long history of utilizing alternative therapies for a worldwide audience that are not practiced in the guests’ home countries, they provide more formal instruction on this meaty topic. It turns out there is rich history of medical ethics surrounding patient autonomy versus paternalism in making health care decisions, and the advocacy position that Buchinger takes here is that neither extreme is optimal. The key is to have a relationship with your medical doctor. This history stems back to Ancient Greece where priests and doctors were one in the same. Challenges exist today because of the demands of the current healthcare system, so doctors (while many well-intentioned) are often under time pressure and have a tendency to “repair” rather than communicate. Ask questions that you have the right to ask. For example, when prescribed a medicine, ask your doctor if they have actual clinical experience (and measured success) with the medicine over the long term. Make sure your doctor is communicating with you in language you understand. Too often doctors use very technical jargon to sound authoritative rather than to communicate to you in a way you can comprehend. Force them to communicate. Find something you like about your doctor. The advocacy position here is that if you don’t like your doctor, or your doctor doesn’t like you, it simply won’t work at all. To be fair to the doctor, initiate this on your own. Even if you have to compliment your doctor on their apparel, try to break the ice in some way! The advice: if you aren’t successful with these approaches, switch doctors! Die Patienten haben doch eine große Macht, ich wundere mich immer, warum sie die nicht einsetzten. Sie können die Ärzte, die ihnen keine Zeit widmen, abstrafen. 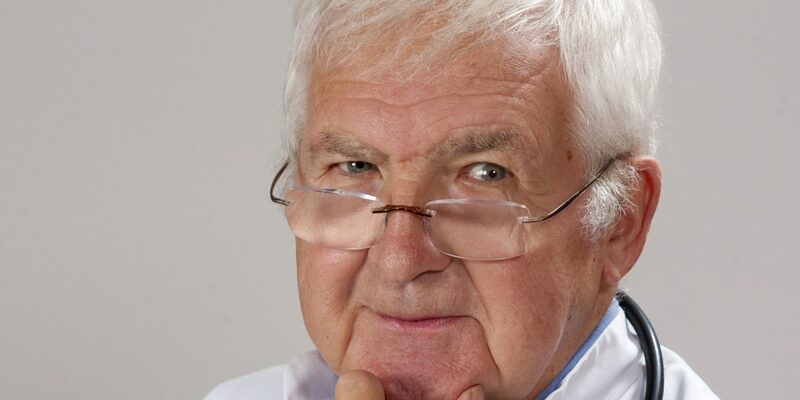 Einfach nicht mehr hingehen und einen anderen Arzt aufsuchen. The patients have a great power, I always wonder why they did not use them. You can penalize the doctors who do not devote time to them. Just do not go and see another doctor. There’s the answer to the question from Germany. In my last post, I discussed the “fat on the inside” of people with diabetes. 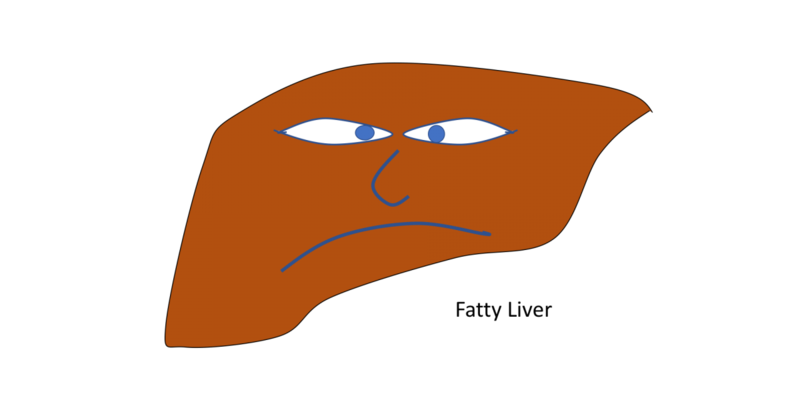 One of the most insidious places for this fat to live is in the liver! Science is now showing the relationship between liver fat and diabetes, and the potential cure for both — fasting! Diabetes and non-alcoholic fatty liver disease (NAFLD) are closely linked, with studies showing that NAFLD is present in up to 70% of patients with Type II diabetes. Nonetheless, fatty liver detectable by ultrasound identified individuals with worse metabolic profile and greater risk for T2DM [Type 2 diabetes mellitus], regardless of baseline fasting insulin concentration. Therefore, our findings suggest that fatty liver, although associated with insulin resistance, is also an independent predictor of T2DM. A newer analysis of Chinese patients published in 2017 demonstrated a bidirectional relationship between fatty liver disease and diabetes. In conclusion, the present prospective cohort study provides evidence that the association between NAFLD and T2DM is bidirectional. Future studies are needed to investigate the potential mechanisms. The irony is that despite the growing evidence of a causal relationship between diabetes and NAFLD, the current treatments don’t really address fat accumulation in the liver! Diabetes drugs use different mechanisms, such as getting your liver to produce less glucose, getting your pancreas to create more insulin, or even getting you to pee out sugar from your blood excreted through your kidneys. However, they don’t address what appears to be a root cause. To that end, a recent study out of Germany has identified a specific protein responsible for controlling the absorption of fatty acids in the liver and associated blood sugar levels! Subsequent simulation tests showed that GADD45β is responsible for controlling the absorption of fatty acids in the liver. Mice who lacked the corresponding gene were more likely to develop fatty liver disease. However when the protein was restored, the fat content of the liver normalized and also sugar metabolism improved. The scientists were able to confirm the result also in humans: a low GADD45β level was accompanied by increased fat accumulation in the liver and an elevated blood sugar level. How do you restore the protein levels to normal? By stressing the liver cells through FASTING! “The stress on the liver cells caused by fasting consequently appears to stimulate GADD45β production, which then adjusts the metabolism to the low food intake,” Herzig summarizes. While the follow-on to this research is to find other ways to stimulate the protein production through drugs, the easier mechanism I see now is through fasting! This is why I am taking my journey! 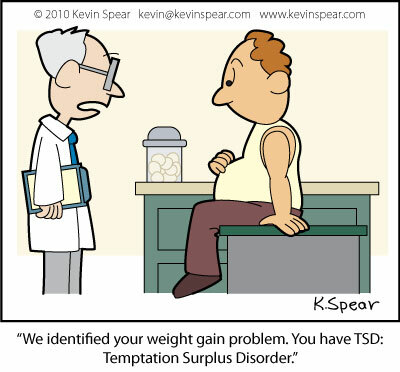 When I was first diagnosed with diabetes in 2003, my doctors were puzzled. While most of their patients were obese, I was a so-called “normal weight” (BMI < 25) patient. 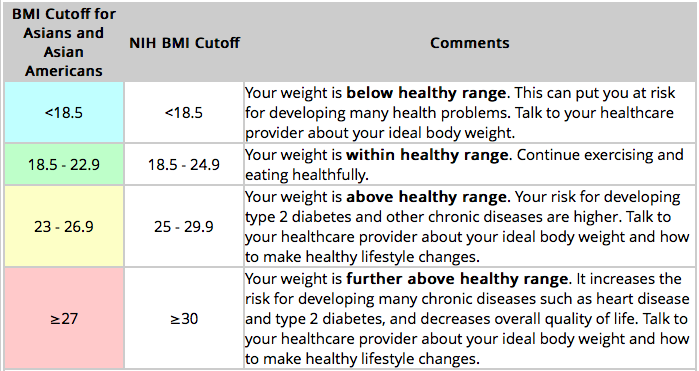 How did I get diabetes at my BMI and and at my age (36 at the time…)? Today, much of the mystery is solved. I am a “TOFI” (think on the outside, fat on the inside) Asian-American. The term TOFI was popularized in an article published in The Guardian describing how apparently “thin” people have hidden fat around the organs, which can lead to diabetes. Tofis probably need to worry more about their health than others, because the fat deposits they carry are hidden in the white fat that lies around their vital organs, streaked through their underused muscles, and wrapped around the heart. It is this fat that sends out the chemical signals which eventually lead to insulin resistance, diabetes and heart conditions, rather than the fat lying in dimples underneath the skin. While The Guardian article did cite genetics playing an “enormous role,” the data at the time was more anecdotal, with no specific mention of Asian-Americans. The data came in 2012! One difference between Asian Americans and the other groups studied, however, is that Asian Americans often develop type 2 diabetes at a lower body mass index (BMI). The NHANES data showed the average BMI for all Asian Americans surveyed was under 25. Today, the CDC has a page “Diabetes and Asian Americans” devoted to this issue. 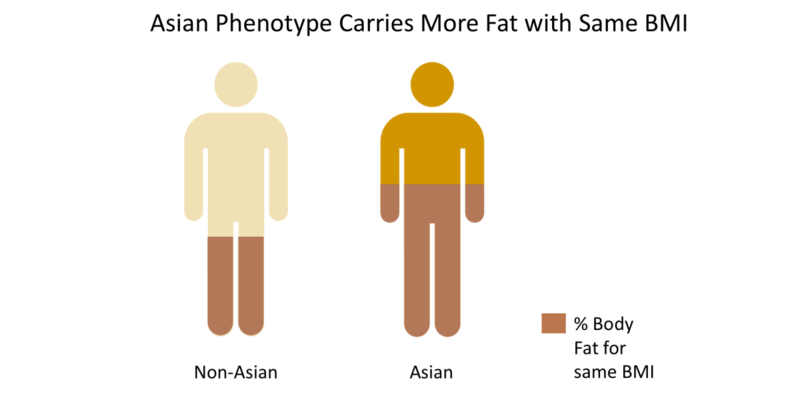 But people of Asian descent have less muscle and more fat than other groups and often develop diabetes at a younger age and lower weight. That extra body fat tends to be in the belly (visceral fat). This isn’t the “inch you can pinch,” the fat stored just under the skin. Visceral fat is out of sight, wrapped around organs deep in the body. You can’t tell how much visceral fat someone has by looking at them. So, looks can be deceiving when it comes to Asian-Americans and diabetes! Affiliated with Harvard Medical School, the Joslin Diabetes Center has gone so far as to create a new BMI chart specific to Asians. Note that while being Asian-American and TOFI is linked to diabetes, there is some broader work suggesting a distinct “Asian phenotype” be applied in medicine as a whole! Factoring in Asian phenotypes is essential for the medical research community and the development of improved clinical practice guidelines across a continuum of disciplines that will ultimately translate to better human health round the world. So, while the medical research community still has a ways to go, it is clear that we TOFI Asian-Americans need to take matters of Type 2 diabetes into our own hands! Is too much “good cholesterol” bad for you? Is Your LDL Pattern A or Pattern B? Feed a Cold, Starve a Fever? It depends! Stephen Pao is the author of the Time-Restricted blog. Following a Type II diabetes diagnosis in 2003, Steve began experimenting with alternative approaches to managing the disease, including prolonged fasting as a complement to a low-carb lifestyle. By day, Steve is a consultant and board advisor to early stage technology companies. Steve and his wife are empty nesters, with two college-aged daughters across the country.